Compliance can be one of the most tedious and confusing of topics in medicine. This chapter will cover CDC, CLIA (ii), Employee (iii), HIPAA (iv), and OSHA (v) Policies and Procedures. These documents may be modified for the needs of any DPC office. 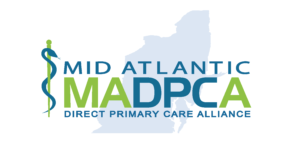 Direct Primary Care operates under the same Federal and State Requirements as do traditional medical offices. It is in a DPC office’s best interest to do their best to remain in compliance should an inspection occur. Having some office policies and procedures with appropriately documented training would only be in the office’s and patient’s best interests. More information is available about Compliance Policies and Procedures with purchase of The Manual.